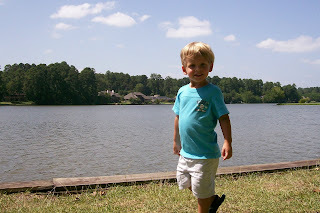 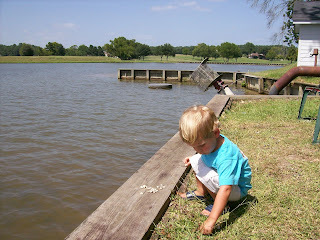 Today Dawson and I went to play at one of the beautiful lakes in our neighborhood. 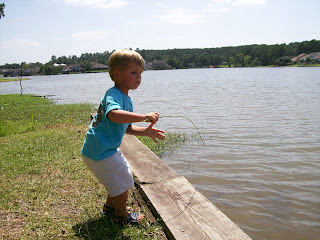 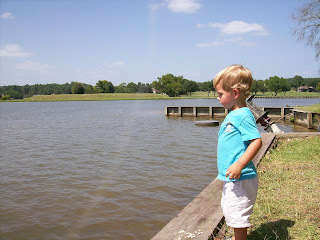 Dawson's favorite lake activities are fishing (really just dipping a long stick into the water and pretending to catch fish) and throwing rocks into the lake. 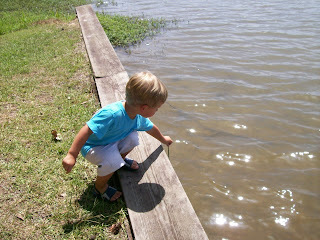 Here are some pictures of him doing just that.